A new program wants to create a space where young people can "defy rigid gender restrictions," according to the organizers behind Drag Queen Story Hour. The program, which was organized by nonprofit queer literary arts organization Radar Productions and city libraries and bookstores, including San Francisco Public Library and Brooklyn Public Library, hopes to capture "the imagination and play of the gender fluidity in childhood and gives kids glamorous, positive and unabashedly queer role models," according to the website. For Kyle Casey Chu, also known as Panda Dulce, the project brought together both his personal and professional lives. 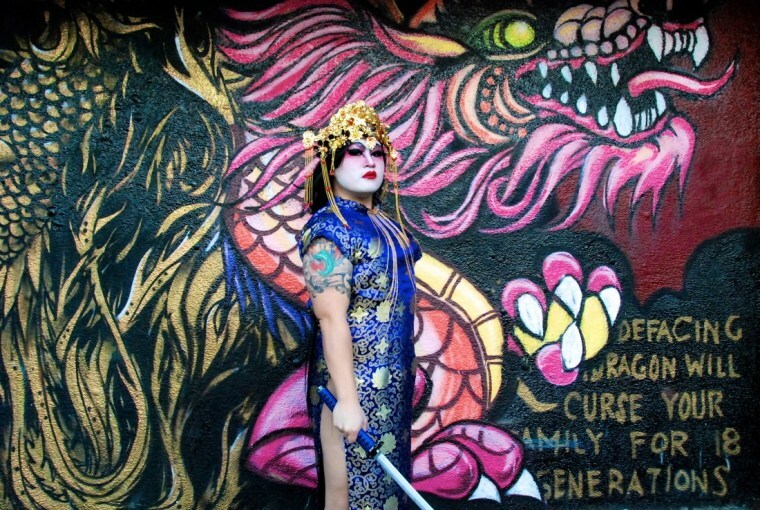 As a former social worker, former second grade Spanish immersion teacher, and former Mr. Hyphen (2010), Chu read as Panda Dulce at the San Francisco Public Library after he heard that the program was looking for more drag queens of color who had experience working with youth. Chu also recounted stories about transgender children who reported feeling more confident about who they were and more open about how they wanted to dress after attending the story hour.